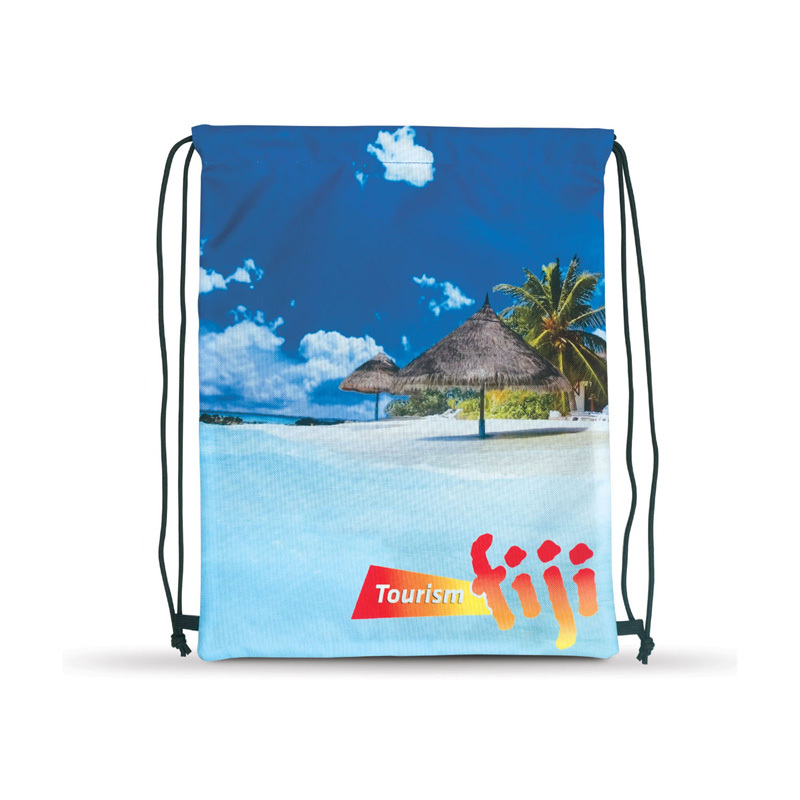 We have an extensive range of options to choose from – including: travel backsacks, laptop backsacks, leather backsacks and more – to ensure that you are able to find the perfect match for your needs. 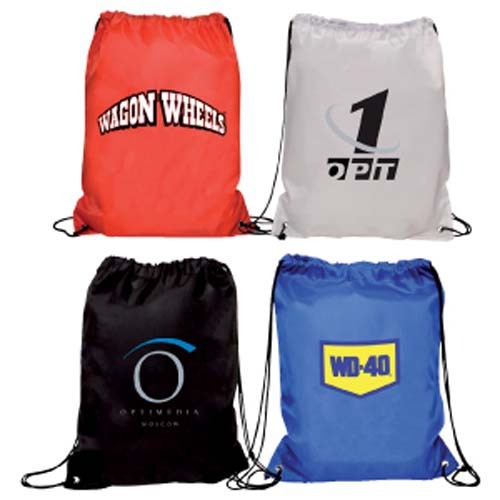 We only use the highest quality materials in the manufacturer of our custom backsacks, ensuring that they will withstand the test of time and continue to look their best. 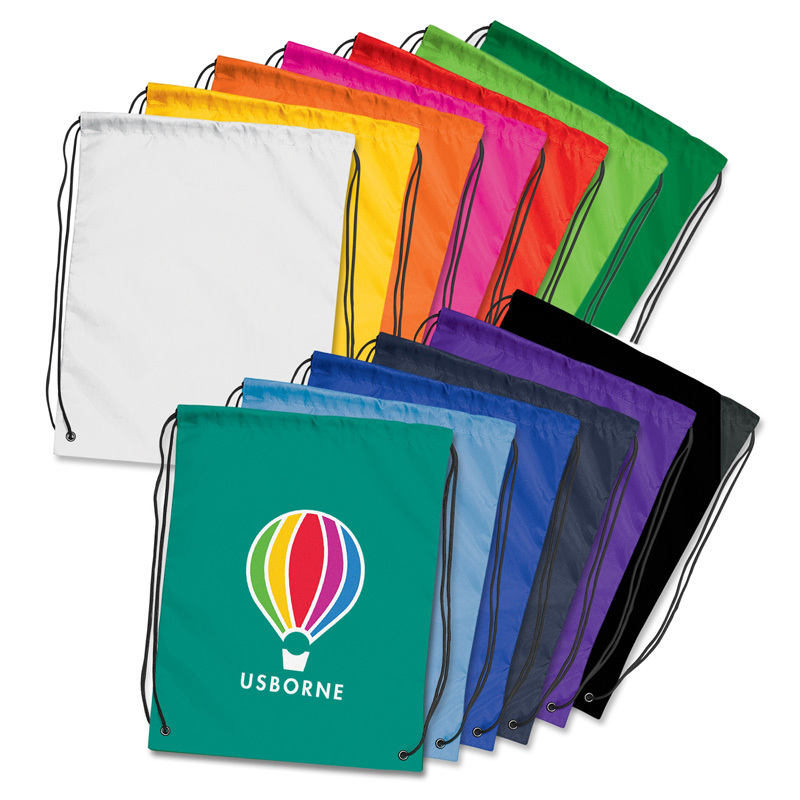 Choose from quality nylon, cotton, vinyl, calico and more. 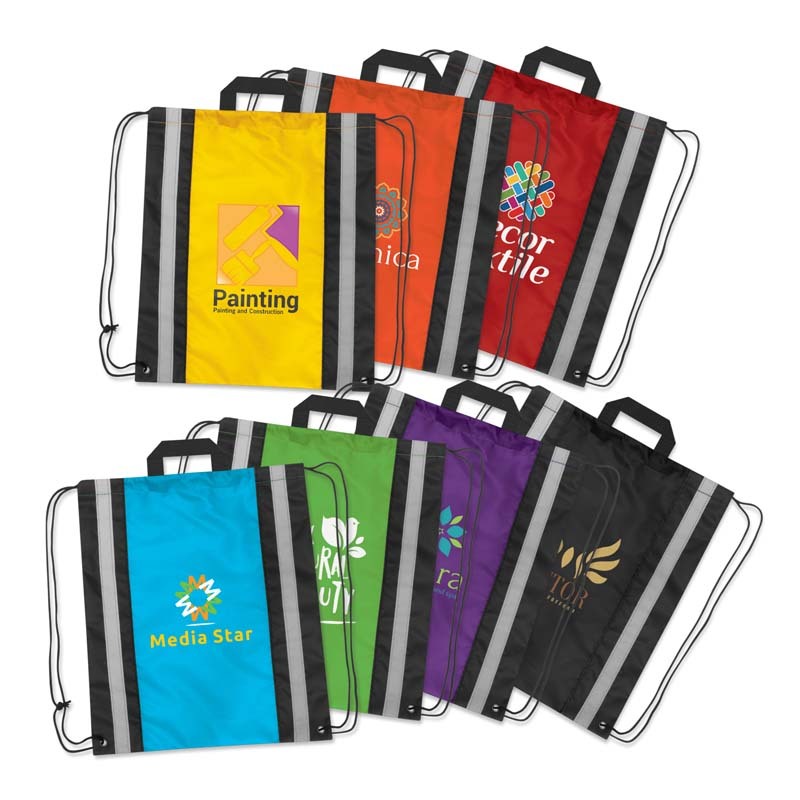 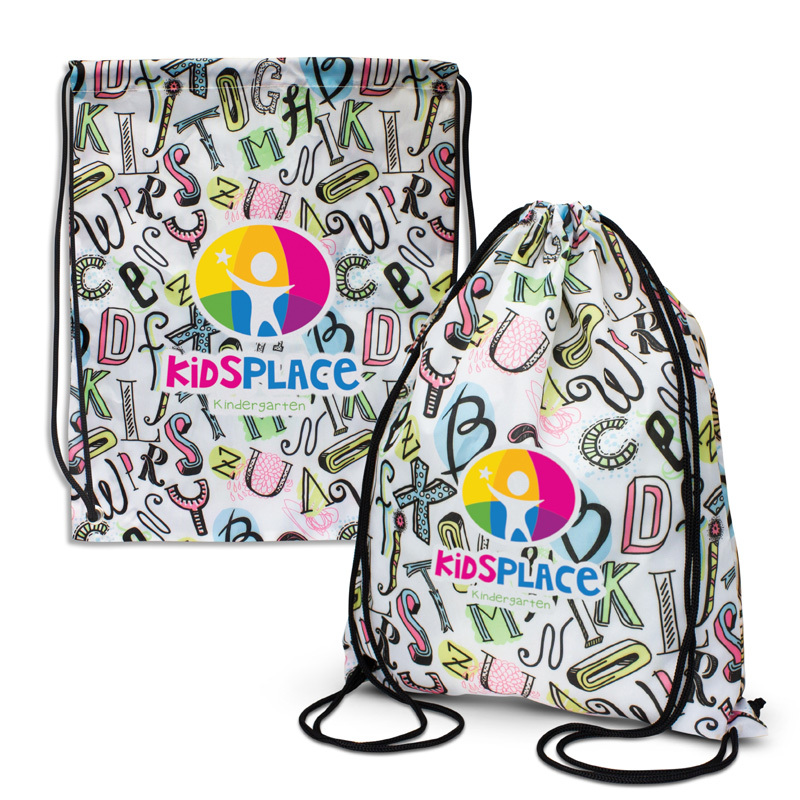 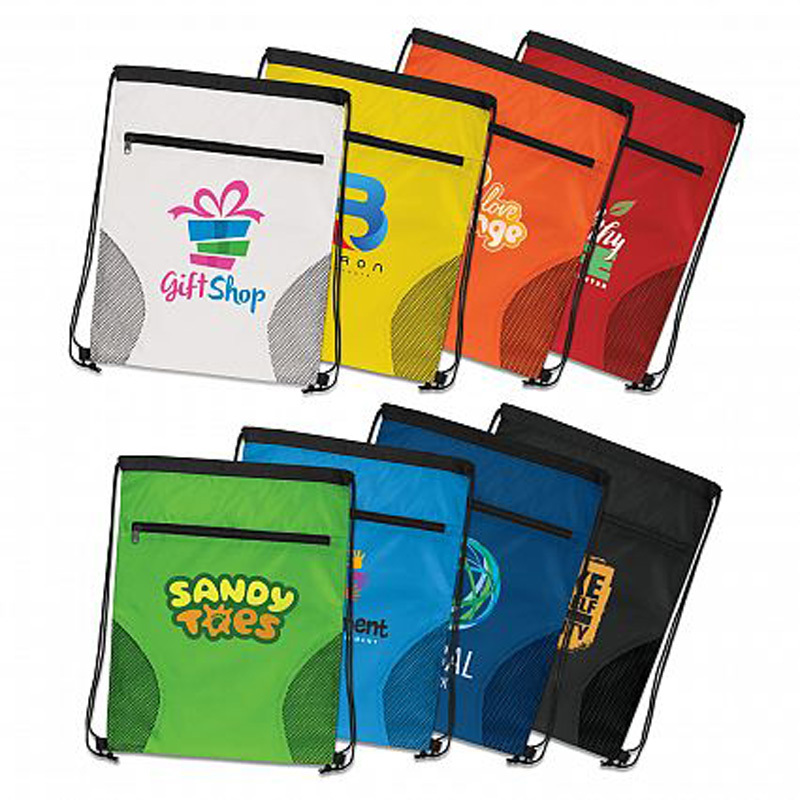 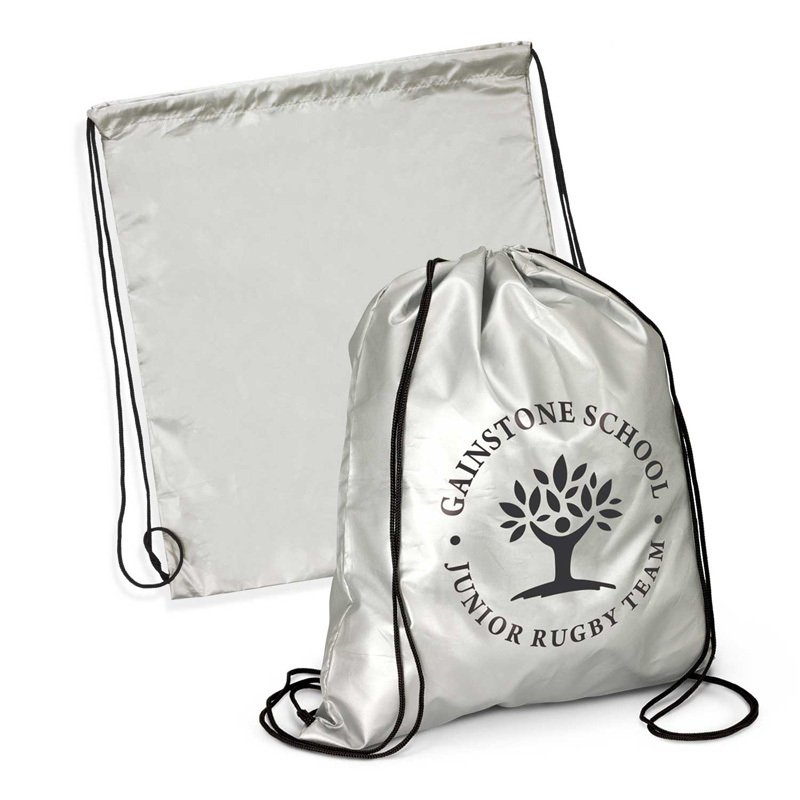 Over the years, we have found that our custom printed backsacks can be used in a variety of applications, from carrying your possessions when you hit the gym or the beach through to a compact children’s library bag. 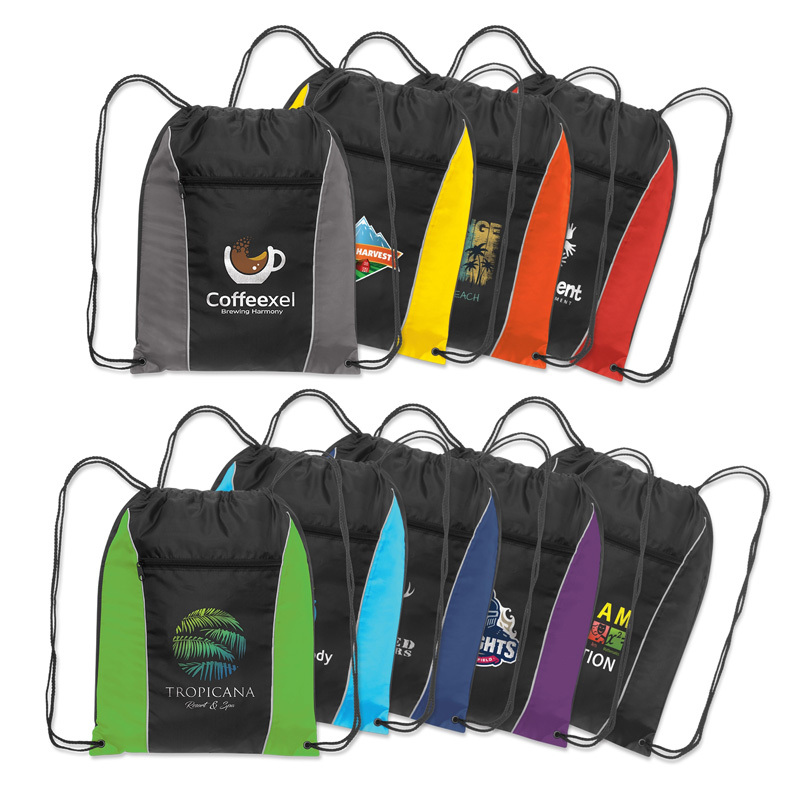 Our branded backsacks are available in many different designs, from the very simple through to the incredibly intricate. 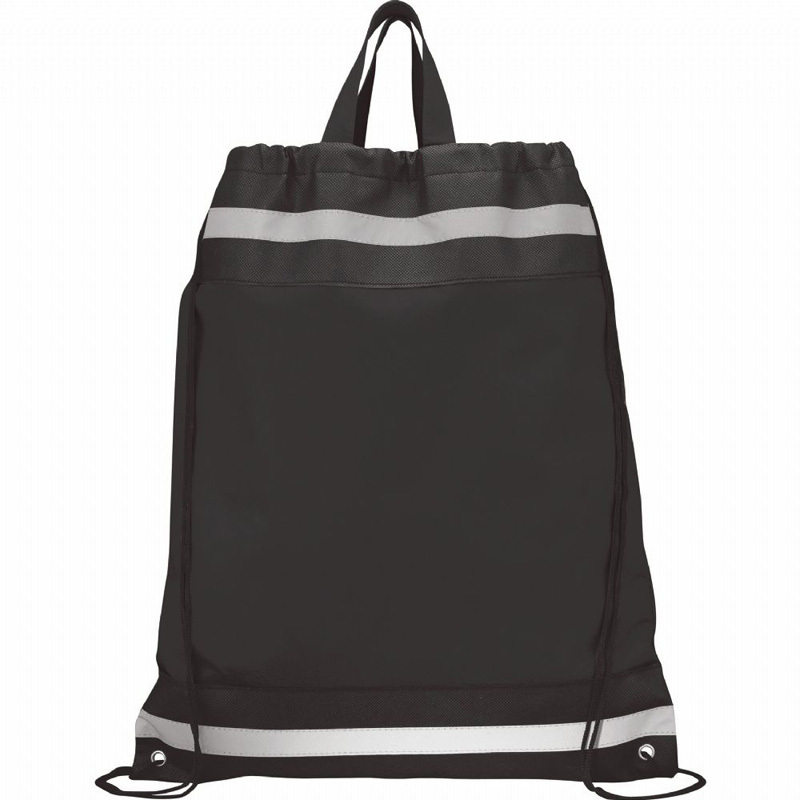 Whether you just want the main compartment or you want additional extras, Novel Tees has the solution. 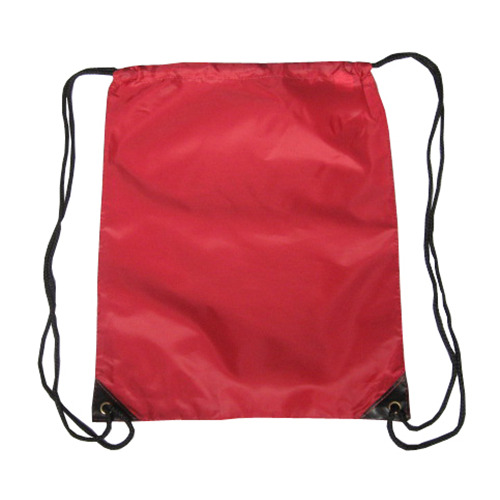 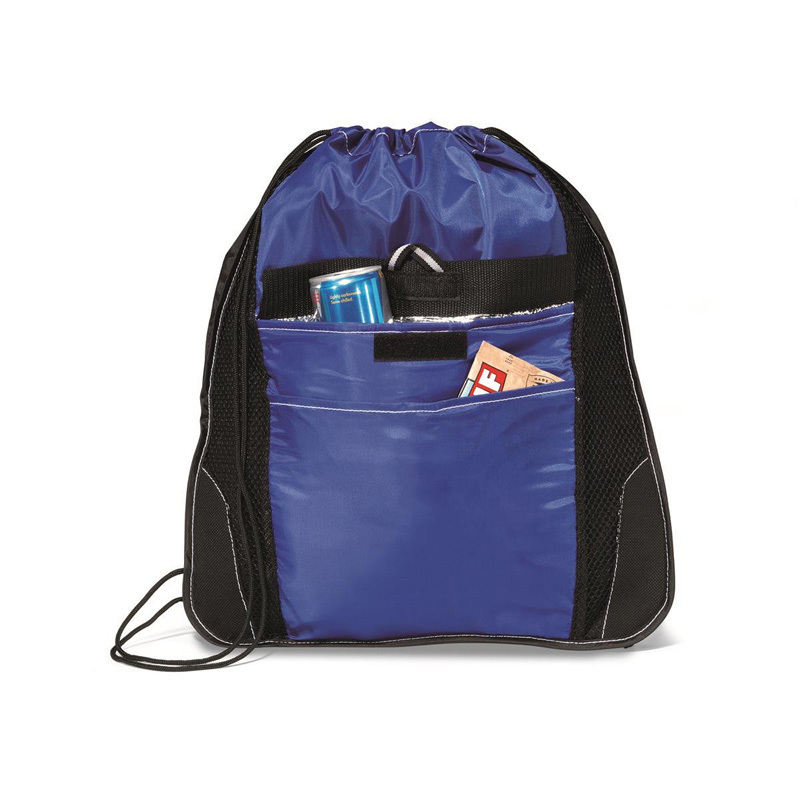 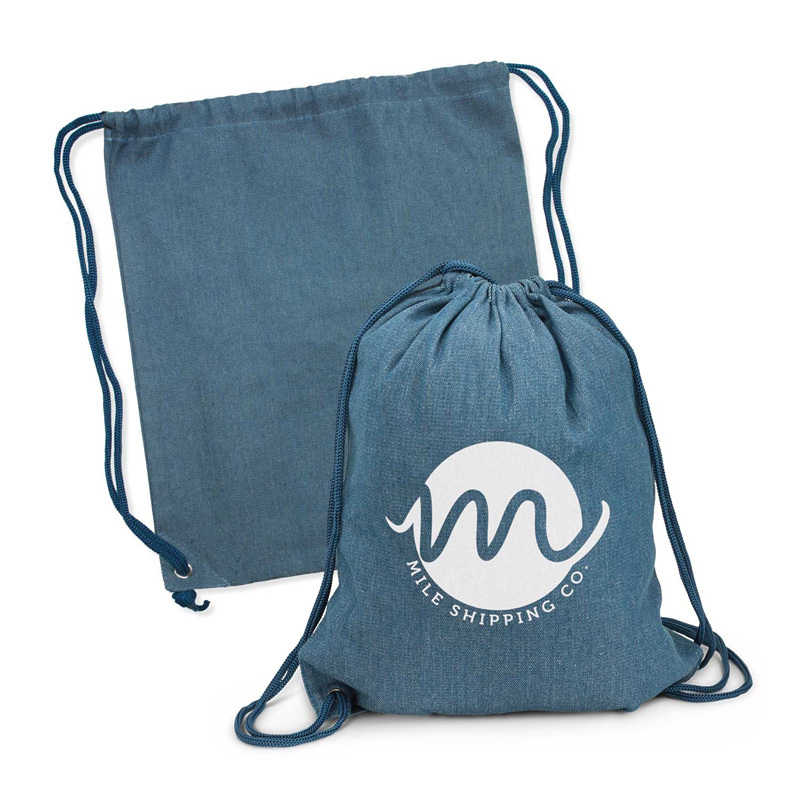 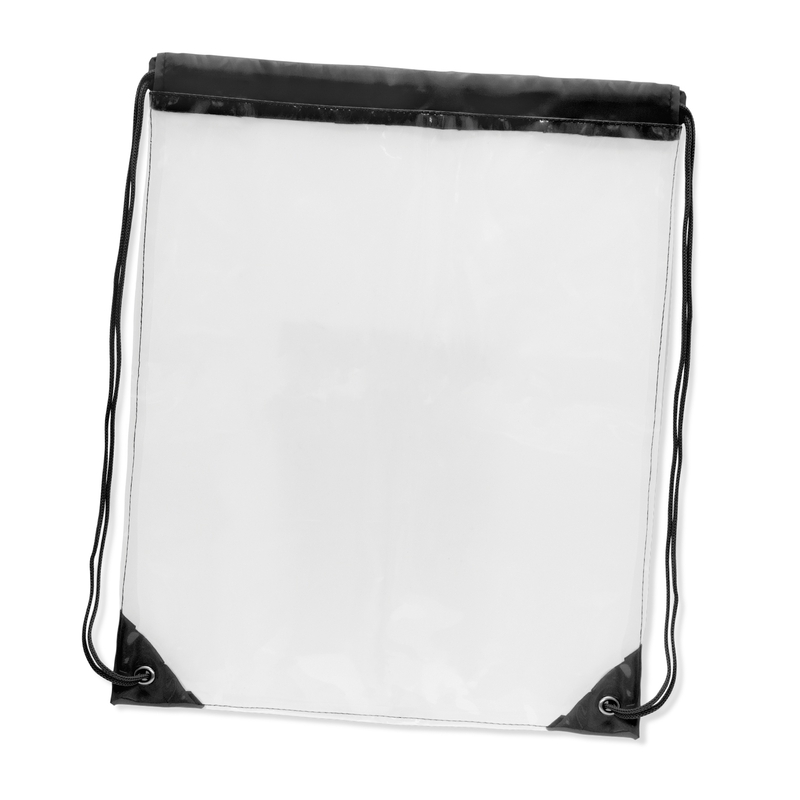 A 210 denier polyester material drawstring bag with large front zippered pocket and metal grommets.